These unique experiences are thoughtfully designed to combine luxurious accommodation, therapeutic spa treatments and engaging activities to renew and rejuvenate the body and mind. 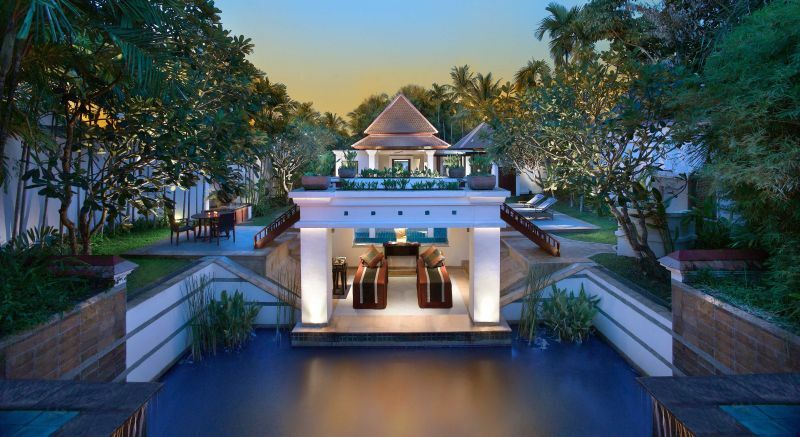 Banyan Tree's Spa Sanctuary Pool Villas span 550 square metres each. Exclusively catered for guests staying in the Spa Sanctuary Pool Villas – spanning 550 square metres each – these unique experiences are thoughtfully designed to combine luxurious accommodation, therapeutic spa treatments and engaging activities to renew and rejuvenate the body and mind. Available for booking from now till October 31, 2017, Banyan Tree Phuket Spa Sanctuary Wellness Packages allow guests to let go of all urban stresses and to be immersed in any of the six curated journeys for attainment of physical, mental and spiritual peace. These journeys focus on the Banyan Tree’s six pillars of wellness: Nourishment, Healing Heart, Centering, Keeping Fit, Enlightenment and Traditional Healing. Each package includes two nourishing lunches featuring cuisine inspired by the Five Elements, two healthy dinners, body massages for two and a four-night stay in the resort’s Spa Sanctuary Pool Villa. Each villa provides a magnificent and expansive setting complete with a private pool, Thai massage Sala and a delightful view of the resort’s private lagoon. Elegant furnishings provide comfort both indoors and outdoors, complete with spacious rooms and fine bedding to ensure a comfortable stay. The private space allows guests to enjoy peaceful alone time, so that one can truly get away from the hustle and bustle. The essential concept of Centering presents guests with organic drinks, life coaching, yoga sessions, meditation and massages to de-clutter the mind and cast all stresses away. This package serves to ground one’s mind and spirit on what truly matters to personal well-being. The Keeping Fit Package seeks to tone the muscles and energise the mind. A morning energy-booster prepares guests before meeting their personal trainer, and taking on a session of morning jogging, yoga, or aqua exercise. A sports massage is included to ease muscle tension and to keep the body in shape for active living. The Enlightenment Package engages the mind to sharpen acuity and connect guests better with their personal interests. A variety of activities such as cooking class, market visit, tree planting and floral arrangement cultivates healthy interests, with a turn-down tea offering to encourage peaceful reflection. An additional foot and back massage wakes up the senses, and complements the body massages effectively. Banyan Tree Phuket Spa Sanctuary features 12 Spa Sanctuary Pool Villas, which cater solely to adults for intimate privacy. Banyan Tree Phuket Spa Sanctuary Villa benefits include unlimited in-villa massages, daily afternoon high tea, and daily spa turn-down gifts. Package price starts from B41,000 per night for two people, available from now untill October 31, 2017. For more information or to make a reservation, please contact Banyan Tree Phuket at +66 76372 40, email at phuket@banyantree.com or visit Banyan Tree Phuket Spa Sanctuary Sense of Wellness.